Listed below, you will find the Village of Palmetto water deposit information. If you do not find the information you need, please contact our office and we will provide it for you. New Water Installations will have a $450.00 non-refundable tapping fee and a $100.00 refundable deposit. 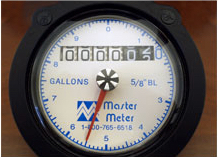 Exsiting water meters will have a $200.00 refundable deposit. The first meter box will be supplied to the customer at no additional charge. Any meter requested after that will be $30.00. In the event that a water utility is cut off there will be a $40.00 disconnect fee that must be paid plus the total amount due on the accout before services will be cut back on.